Several months ago while on a shopping/research excursion with my mom, it dawned on both of us that peplum tops are pretty much the “in thing” right now. We thought the fad probably wouldn’t stick, so I figured I didn’t want to invest in a style that might not last long. However, many months later I’m still seeing them everywhere! I always thought they were cute, so I decided I wanted to join in. And you know from a few posts ago that the Lady Skater Dress is the “in thing” in the sewing world right now. 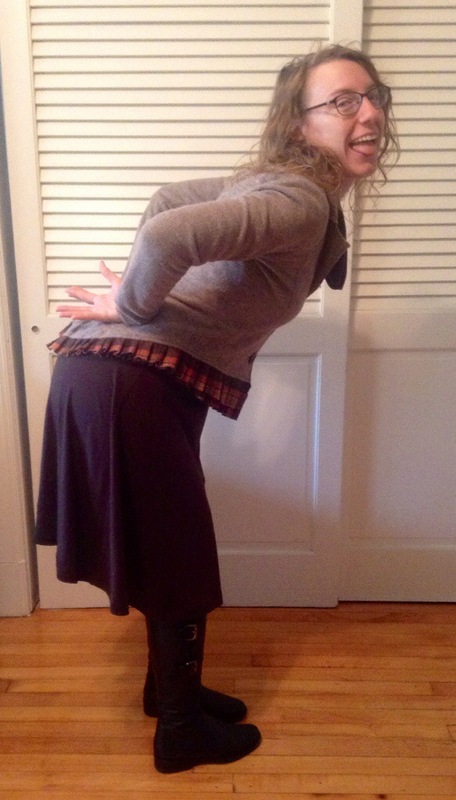 Taking things a step further, Lady Skater Modifications are super “in,” too. So, peplum top + Lady Skater Dress + modifications = all the rage – amiright?? This is another wearable muslin, made from the scraps of my first Renfrew top. It’s kind of amazing how little fabric this takes! Of course, I didn’t have enough fabric for long sleeves, so I’m wearing short sleeves when it’s 40 degrees out (oops…), but it was a good pattern test. I think for my next one I’ll make the bodice and skirt an inch longer each – what do you think? Since the fabric I used doesn’t have a ton of stretch, I shortened the armband pieces by an inch on the sleeves to keep their shape. I probably should have done that for the neckline, too, but didn’t remember at the time. I’m also still trying to decide if I like the size I used for the sleeves – I’ve been making a size 3 top, but I’m wondering about a size 2 armhole and size 3 everything-else. More experiments to come! Sadly I haven’t gone ice skating yet this year, but whenever I do I’ll have the perfect dress – my new Lady Skater Dress by Amanda from Kitshy Coo. This pattern came out in June, and I’ve been reading so much praise for the dress from other bloggers that I had to try it! 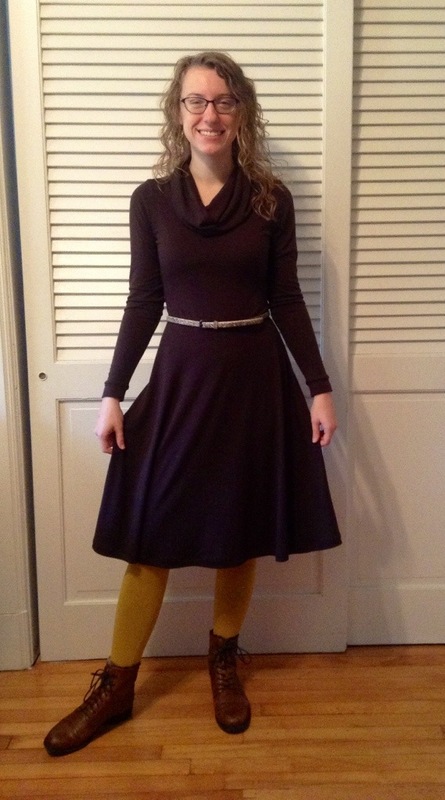 And it does not disappoint – this is definitely my favorite dress pattern so far, and I plan to make many, many more! 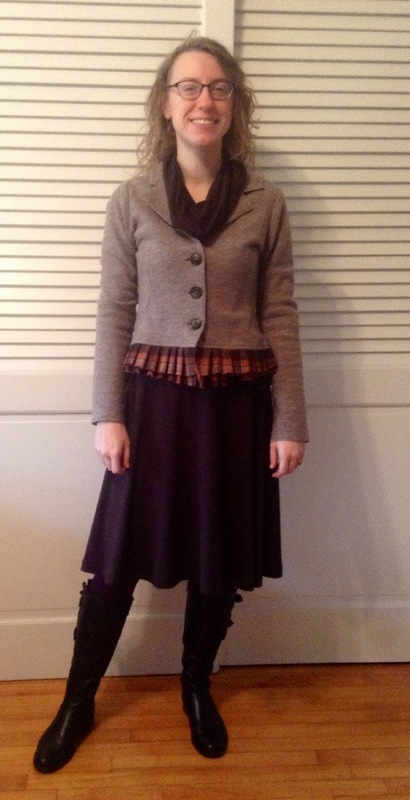 I’m really liking the fit, but I did end up having to make one alteration – I shortened the top by about 2.5″. When I put together the dress with the top as-is, my prominent tummy and bum were, yet again, a problem…grr! But I quickly realized that raising the skirt up would allow the fullness in the skirt (a nice, swishy partial circle) to cover up those problem areas. 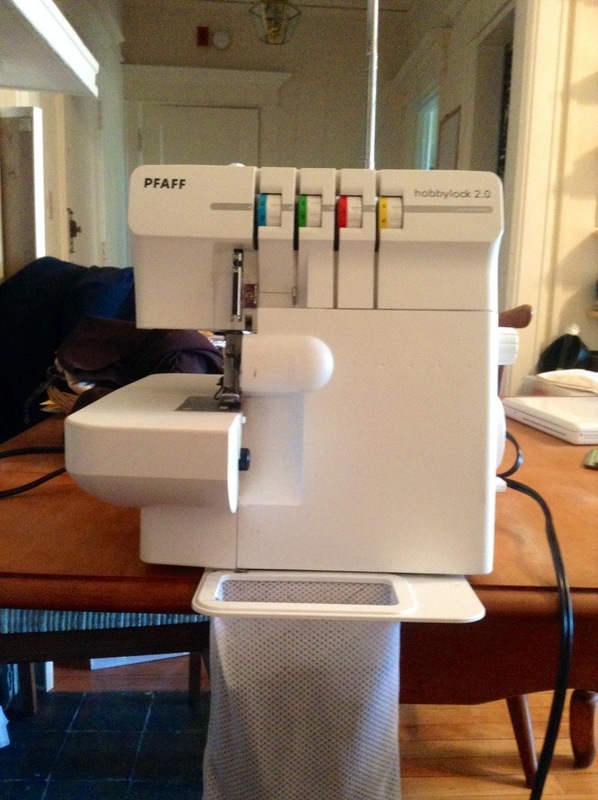 So, after a little seam ripping and cutting, the problem was fixed! I’m starting to develop a new understanding of and appreciation for my body shape now that I am sewing more. I’m getting a better sense of which patterns works for my shape and which don’t. And just because a particular cut isn’t flattering doesn’t mean I’m “fat”! It just means I need to make a change or two (or maybe look for a different pattern). This is helping me find a healthier, more realistic way to think about my body. And now I realize why I love high waists and full skirts so much!